Amyloid beta peptide (Aβ) is the major component of amyloid plaques in the brain of individuals affected by Alzheimer’s disease (AD). The formation of the plaques is due to an overproduction of Aβ by APP processing, its precursor, and to its ability to convert under specific conditions from its soluble form into highly ordered fibrillar aggregates. Although neuronal degeneration occurs near the amyloid plaques, some studies have suggested that intermediates such as protofibrils or simple oligomers are also involved in AD pathogenesis and even appear to be the more dangerous species in the onset of the pathology. Further, toxic properties of aggregates of different size have been investigated and the obtained results support the hypothesis that different aggregate sizes can induce different degeneration pathways. In the present review some of the knowledge about the biochemical routes of Aβ processing and production and the relationship among Aβ and oxidative stress, metal homeostasis, inflammatory process, and cell death are summarized. Moreover, current strategies addressing both fibrillogenesis process and different Aβ altered biochemical pathways utilized for therapies are described. 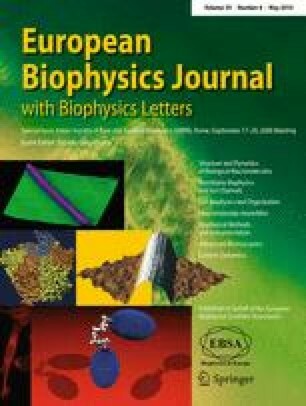 Proceedings of the XIX Congress of the Italian Society of Pure and Applied Biophysics (SIBPA), Rome, September 2008. I wish to thank Dr. Daniela Giacomazza for critical reading of manuscript.